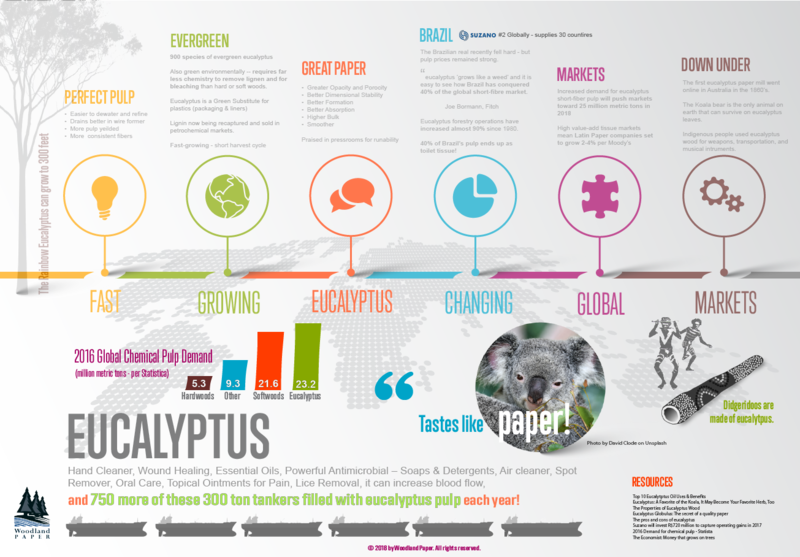 From didgereedoos, to dental care, to digital paper … eucalyptus is creating larger markets. It grows fast, is easy to process, and it is evergreen. The transplanted tree from Australia is now grown so widely in Brazil that 40% of the global supply will come out of Brazilian ports. In an interesting statistical coincidence, 40% what Brazil produces will be used for personal hygiene! But the long fiber stuff makes phenomenal paper. Here is the image file. 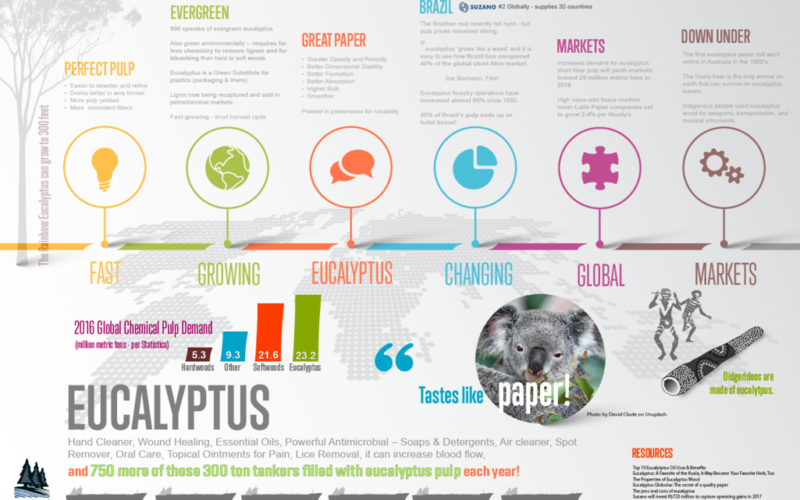 Download the Eucalyptus Infographic PDF via the button below. By the way — a didgereedoo is a long hollow piece of eucalyptus wood used by Australia’s indigenous people to produce a haunting collection of musical sounds! Here ‘ya go.